London January 2016: EAS Group is set to challenge views on event registration and accreditation with its products and services at International Confex this month. This premier event accreditation and registration company, based in London UK and the Middle East, is showing its leading and innovative registration solutions at International Confex on stand D16 at Olympia, London 2–3 March 2016. EAS Group was established in 2002 by experienced event organisers and launched with the purpose of offering intelligent registration solutions to the events industry. Today EAS’s Group range of services are all encompassing and offer organisers the opportunity to capture and harness data within bespoke systems designed to achieve maximum impact and in-depth insight. Over the past 14 years, EAS Group has produced bespoke systems and managed the full registration process for events ranging in scale from 100 to 200,000 attendees, and enjoys a client retention rate of 98% year-on-year. With a wealth of experience behind it, the company can demonstrate how it has already enhanced the data management services and capabilities of leading event and exhibition brands, including: The World Travel Market, London Fashion Week, Informa’s Telecoms Portfolio, The Labour Party Conference, Arabian Travel Market, London International Wine Fair, The Dubai Air Show, The Big 5 to name a few. 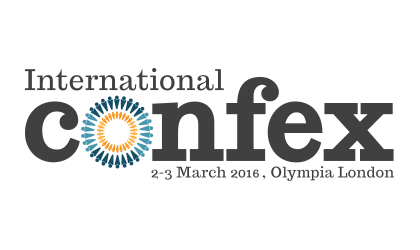 At International Confex, EAS Group will highlight the main elements of its systems. With its comprehensive registration systems, social networking platforms and advanced lead capture solutions, EAS can accommodate even the most demanding event registration requirements. Also a key area of expertise for the EAS Group is ‘Accredit Solutions’ a system is built specifically for sectors such as stadiums, sporting, live, political and government events, it’s the perfect tool for discreet high security vetting. It provides a dynamic and flexible system to run high security events and venues. This system offers total visibility and ultimate control over who registers and enters the event or venue. Accredit, like the EAS registration system, is flexible and dynamic and through our team of dedicated event experts is 100% supported.